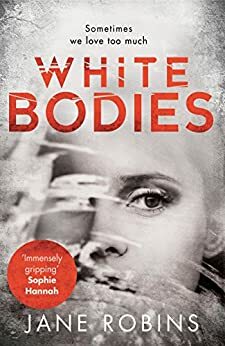 White Bodies is the debut novel from Jane Robins who has previously written three non-fiction books. It looks at the relationship between twins Callie and Tilda and what happens to that relationship when Felix comes into Tilda’s life. I was drawn into this book from the very intriguing prologue which takes place at the funeral for Felix, husband of Tilda and brother-in-law of Callie. It seems he has died from a sudden heart attack following a run but it appears that Callie may know that there is something more to this tragic death. The author then takes us back a few months to when Tilda first introduces Felix to Callie. Immediately Callie, and the reader, feels that there is something a bit too controlling about Felix. However, I was really unsure about exactly who I could believe throughout the book and planting that seed of doubt is something which the author has accomplished so well. Was Callie right that Tilda was in real danger or was she overreacting? Through flashbacks to the twins’ childhood scattered throughout the book, it is clear that Callie herself has some issues which may make her over-attached to her sister. She displayed some very odd behaviour which made me feel a bit squeamish at times. You’ll know what I mean when you get to that bit! White Bodies is a very un-nerving read exploring just how easily people can be manipulated without even realising it. Despite the fact that I didn’t find any of the characters particularly likeable, I did find it a book that I was compelled to keep reading to find out just who could be trusted and how it was that Felix died. I am a bit unsure about how I feel about the end of the novel and think it’s one I’ll need to read again to make sure I fully understood what had happened. A very cleverly written book that will certainly make you think about who can be believed and one which had rather a menacing atmosphere throughout. It can be difficult to get into a book with characters you don’t particularly like, but I have found that situation as well–you have to find out what happens–strongly plot driven. Absolutely! A sign of good writing where you just have to read on even if you don’t like the characters. Thanks for commenting.